Published on Thursday, November 5, 2009. This article appears in the December/January 2010 issue of American Craft Magazine. The beauty of Portsmouth's Atlantic coastline draws many artists to the city. Craft creativity flourishes in this coastal city. 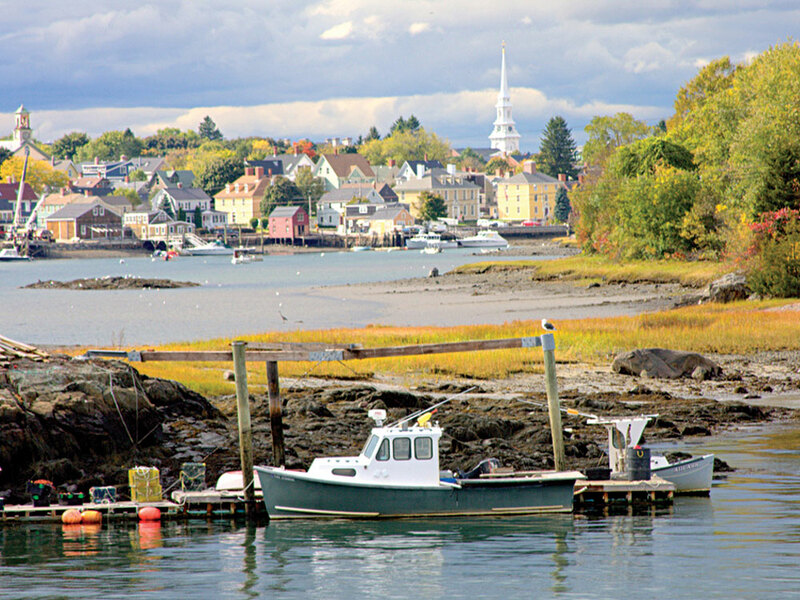 For most New Englanders November is the start of their long winter hibernation, but for craftspeople in Portsmouth, on New Hampshire’s 18-mile sliver of Atlantic Coast, it’s time to open the doors of their studios and homes to welcome their neighbors, friends and visitors from throughout New England. The festivities begin with the Portsmouth Holiday Arts Tour—an intimate look into the home and work lives of area artisans. Potters Maureen Mills and Steve Zoldak created the tour nine years ago to showcase the work of local craftspeople, many of them nationally recognized for outstanding work in their discipline. “We wanted to emphasize to the community that there are artists living and working in their neighborhoods, just like there were 300 years ago,” says Zoldak. “I still find odd bits and pieces from a blacksmith who used to live somewhere near our property.” When they’re not traveling the country or working on other projects (Lark Books recently published Mills’s Surface Design for Ceramics), it’s a short commute for Mills and Zoldak to the kiln and glaze studio in their backyard, where they use an old-world slip trail technique on stoneware to create functional pottery. They spend the summer season selling their wares in their shop at Portsmouth’s Strawbery Banke Museum—a complex of restored houses and gardens—honoring a centuries-old tradition of craft commerce in that neighborhood. Strawbery Banke is not only a link to the past; it was also a starting point for many local craftspeople. Peter Happny, a blacksmith, first went to Strawbery Banke to study one of its historic homes for a class. “Thirty-eight years later, I’m still in Portsmouth,” he says, looking at his wife, Lisa Grey, whom he met at Strawbery Banke during the 1970s, when Grey had a weaving studio there. As rents increased in the 1980s, many craftspeople migrated from downtown Portsmouth to studios that had opened at an abandoned button factory on the outskirts of town, but Grey and Happny purchased an old factory building in an industrial zone, where they live and work today. In addition to Grey’s busy teaching schedule—including workshops at the Mendocino Arts Center in California and Penland School of Crafts in North Carolina—she can be found in her rooftop studio, experimenting with disperse dyes as she integrates her love of photography with the handwork of textile craft, while Happny works on his “jewelry for buildings” downstairs in the forge. Happny collaborates with designers and architects from New Hampshire to New York, creating one-of-a-kind railings, light fixtures and iron sculptures for private residences as well as public buildings. Portsmouth’s rich sense of history and easy access to major cities and museums make it a natural locale for the burgeoning arts community. Boston is one hour south, Portland one hour north and at points in between you’ll find such treasures as the Ogunquit Museum of American Art, the Currier Museum of Art and the Peabody Essex Museum. For those who don’t want to travel, an active cultural commission, Art-Speak, funds art exhibitions and events in town. There are also monthly gallery walks, outdoor festivals, holiday open studios at the Button Factory, and film festivals and live concerts at the Music Hall, which was designated an “American Treasure” by the u.s. Senate and featured in the New York Times last fall after extensive renovation. While Portsmouth offers its share of hearty New England fare, visitors can also find innovative restaurants mentioned in the pages of Bon Appétit and the now-defunct Gourmet, including the Black Trumpet Bistro and the Green Monkey. It’s no wonder that the city’s population jumps from 22,000 to over 60,000 during the summer and fall months. It was a boyhood trip to the Peabody Essex Museum to see the intricate figureheads, ship carvings and Polynesian art that inspired Mark Fenwick to begin his lifelong relationship with carving. “I got home, grabbed my little hatchet and ran out in the backyard to start carving tiki heads,” he says, laughing. Fenwick’s sculptures, reminiscent of sentries, are scattered throughout the backyard as he works on a hand-carved coffin for a prominent—and still living—local attorney. His works have been commissioned nationwide and he recently finished an artist-in-residence program in Western Massachusetts. Jeweler Sara Dulong Apsey also appreciates the mobility of her craft and likens pieces of jewelry to little “memories.” Sitting outside the popular local hangout Ceres Bakery, under one of the many signs around town made by Peter Happny, Apsey chats with friends walking by. “Portsmouth is a very encouraging place to be an artist,” she says. “People are creating things. It’s not about people working to make money to pay their bills; it’s more ‘What are you working on?’ or ‘What do you like to do?’ Making things, or cooking things, it’s a good mix.” After a life-changing workshop at Haystack Mountain School of Crafts with Susan Sloan, Apsey began to integrate custom-colored epoxy resin into her silver work. She creates her own colors without a specific formula or chart so that no two pieces of her work are ever the same. 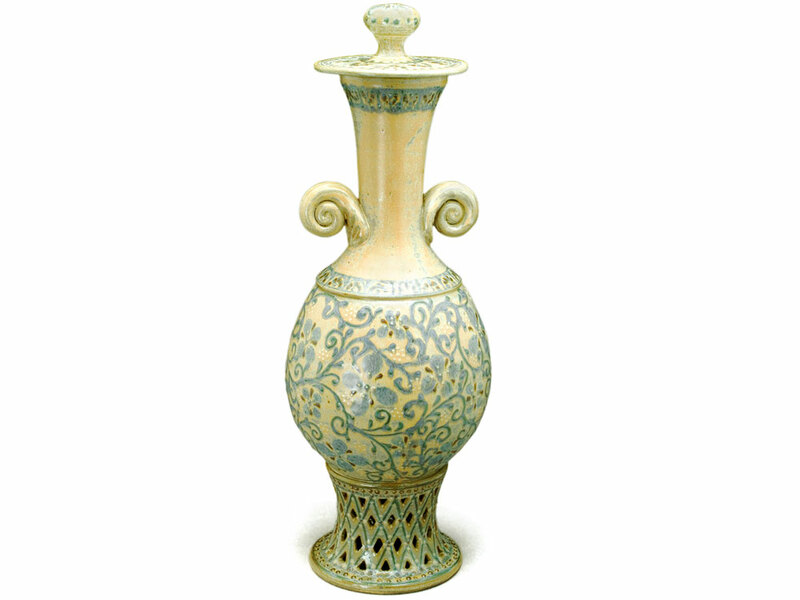 Potter Steven Zoldak, whose slip-trailed stoneware pieces include this 2009 tall jar, created the Portsmouth Holiday Arts Tour with his wife Maureen Mills. 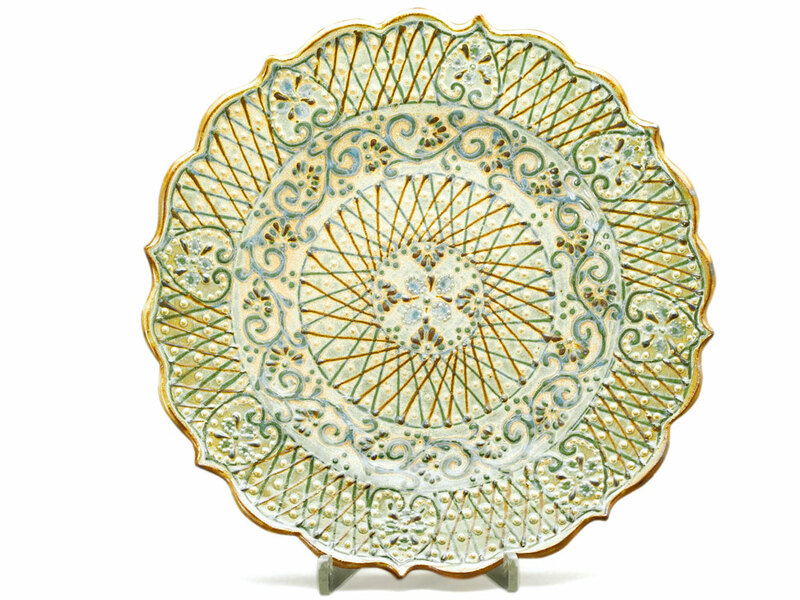 Steven Zoldak, Platter, 2009, slip-trailed stoneware. 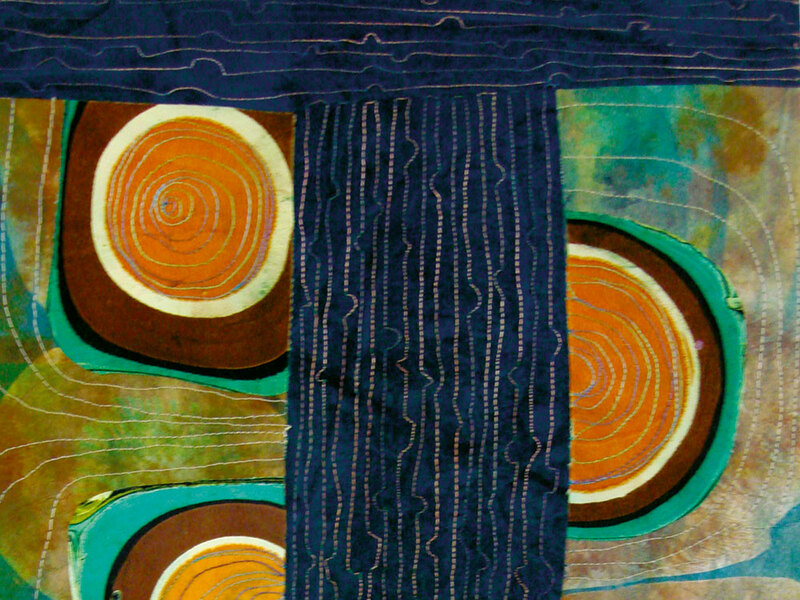 Lisa Grey experiments with disperse dyes on fabric, such as in Anywhere But Here. over the past several decades, Grey and her husband, blacksmith Peter Happny, have borne witness to the city's strong craft scene. 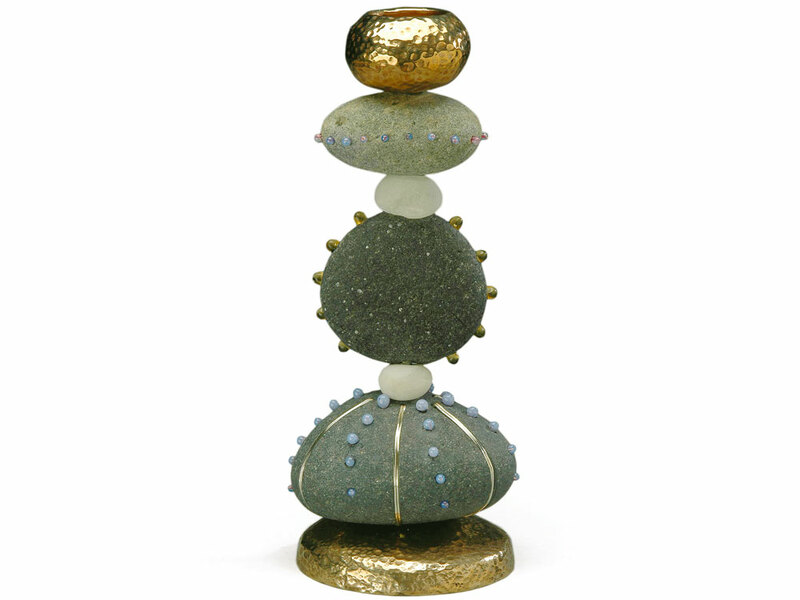 Wendolyn Hammer, Urchin Candlestick, 2009, cast bronze candle cup and base, lamp-worked glass and sterling inlay, 8 x 3 in. 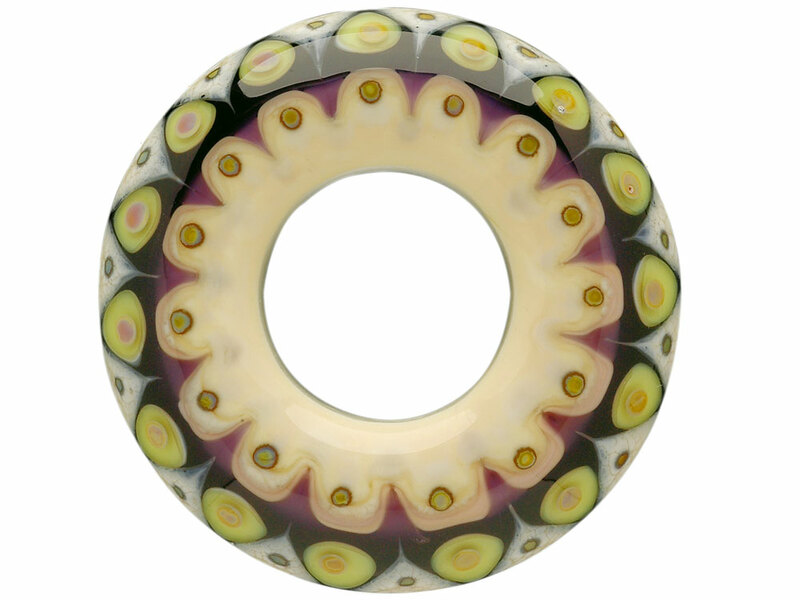 Jewelry maker Kristina Logan, who created this 2008 flame-worked Persian Doughnut Brooch, finds inspiration for her glass beads in Portsmouth's seacoast. 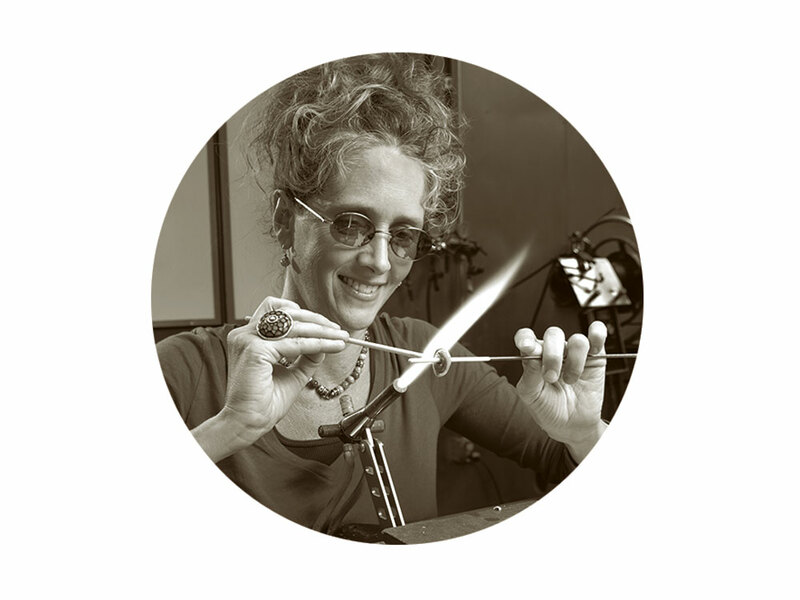 Jeweler Wendolyn Hammer moved into other genres when she began experimenting with beach stones found on the coast. 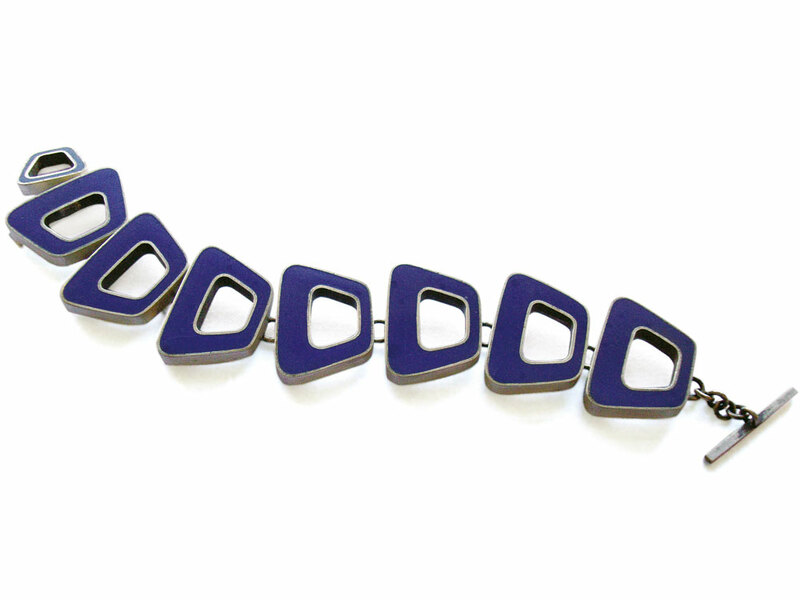 Sara Dulong Apsey, who integrates custom-colored epoxy resin into her silver jewelry, such as Trapezoid Bracelet, finds Portmouth an inspiring place to be an artist. Nahcotta Gallery in downtown Portsmouth displays work from local artists, including Hammer. 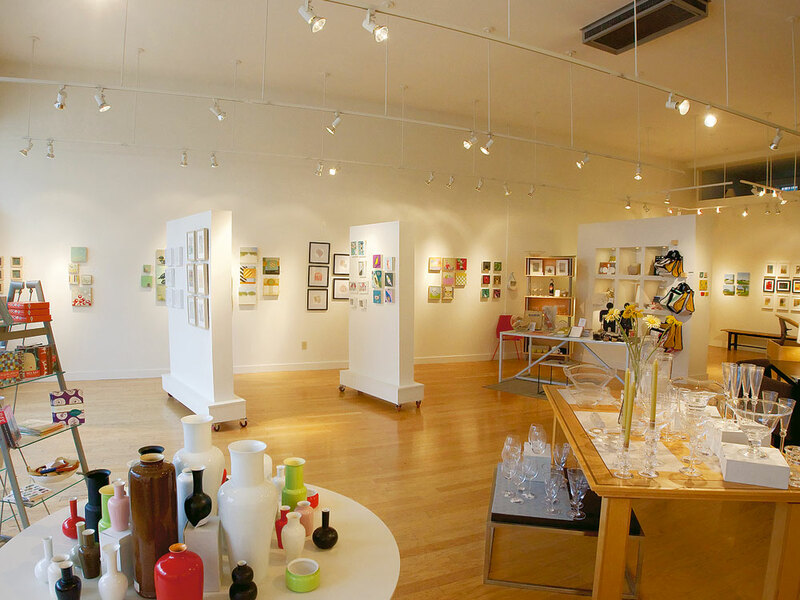 Lovers of craft in Minneapolis-St. Paul enjoy an enviable number of options. Michael Fallon is our guide to the many museums and art centers devoted to specific media. Fraser Conlon explores South Africa’s multi-cultural mecca for craft.